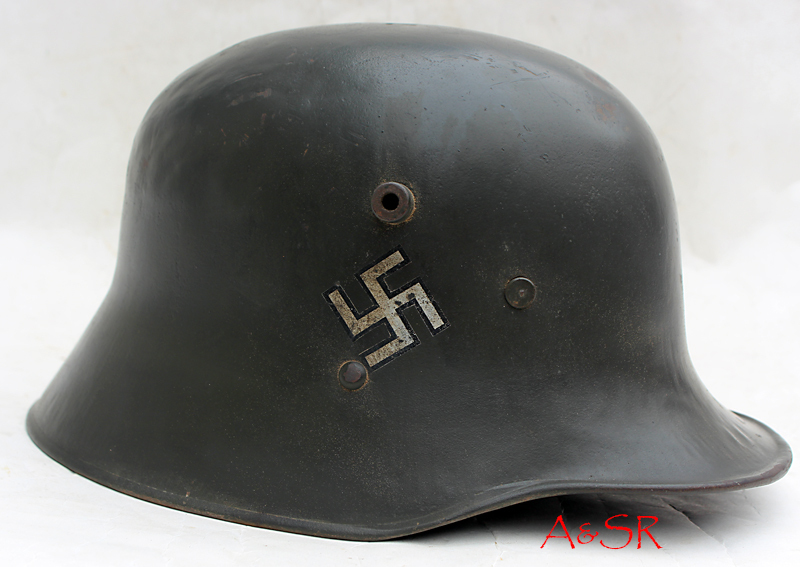 Austrian M17 re-worked to a circa 1934 Landespolizeigruppe General Göring. 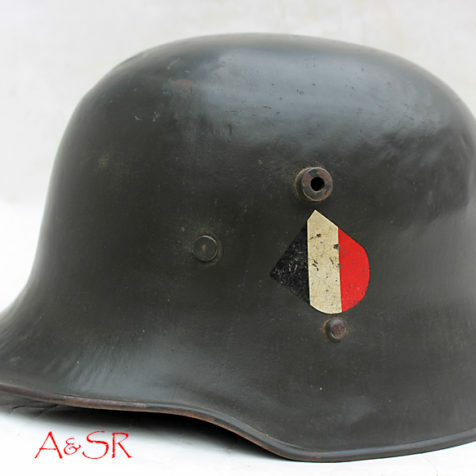 The helmet was repainted with a green satin finish, as all helmet from this unit were. The national colors decal has been applied tilted as per regulation. 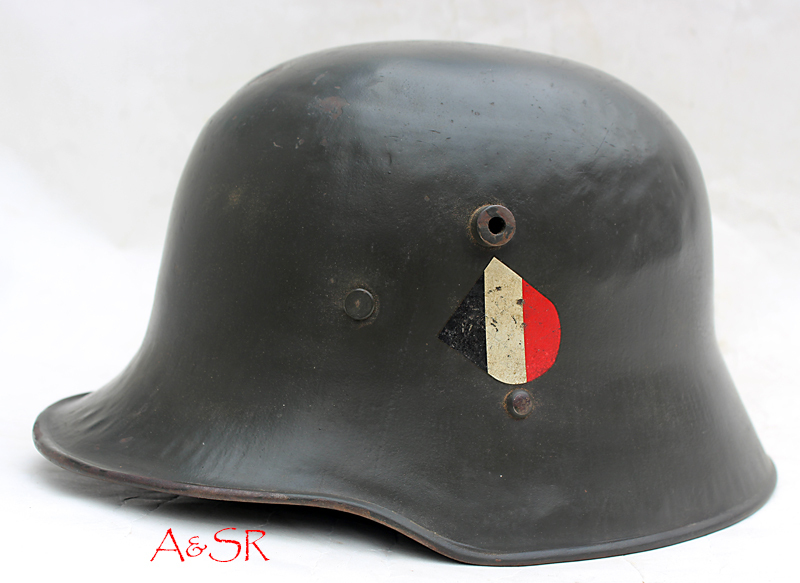 The helmet has only been lightly aged to reflect wear consistent with the service it might have seen.